After a long, hot day in California, peeling off your socks and kicking off your shoes might feel great, but sometimes it doesn’t smell so hot. That’s because when perspiration mixes with bacteria on your skin, it emits an odor. Sometimes the smell can be overwhelming, and unpleasant to not only you, but everyone around you! You can stop plugging your nose, though, because understanding the causes of smelly feet (medically known as bromodosis), can actually help prevent the problem. Pee-yew! Why do my Feet Smell? Our feet have more sweat glands than anywhere else on our bodies, so it’s no wonder they can get so sweaty and uncomfortable! It’s essentially our body’s own built-in skin moisturizer. However, when you throw on some socks and shoes made out of materials that don’t breathe well, you invite bacteria to the mix. Fungi thrive in warm, dark places like your shoes, so when they get together with those overactive sweat glands, well, then you’ve got yourself a stinky situation. The excessive perspiration (a condition called hyperhidrosis) can lead to foot odor. Those dealing with hormonal changes—like teenagers and pregnant women—are prone to the problem as well. Being on your feet all day, poor hygiene, stress, and certain conditions and side effects of medications can also play a part. Luckily, most causes can be controlled. You don’t have to live with smelly feet or be afraid to take off your shoes and socks. Instead you can follow some simple guidelines to squelch the stench. First of all, keep your feet clean—a good scrubbing goes a long way. There are all different types of antifungal soaps available, as well as powders and sprays that you can apply to your feet after you bathe. Also, opt for shoes made of breathable mesh, canvas, or leather, and never wear them sans socks. In fact, you should wear a fresh pair of socks every day and change them more than once if need be. It’s a good idea to alternate your shoes too so that they have ample time to air out. When at home, go ahead and go barefoot to let the air get to your skin. At night, try dabbing your feet with cotton wool dipped in surgical spirit to promote dryness, and in the morning, give your feet a swipe or spray of deodorant to stay fresh. Why should arm pits get all the protection? Finally, slip some medicated insoles into your shoes for additional help in keeping smelly feet from becoming a problem. If you have tried all of these methods, yet nothing seems to help, make an appointment with Dr. Michael Stein or Zeindelin Ahmad, DPM, at Foot Doctor of the East Bay in California. Call our San Leandro office at (510) 483-3390, our Los Gatos location at (408) 356-6767, or our office in Pleasanton at (925) 425-9684. 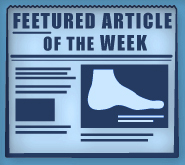 We can help to find the underlying reason for your smelly feet and determine the best treatment option for you. Stop the stink before it stops you from enjoying the activities you love.